Tech is driving industries faster and faster. CAGR is keenly watched everywhere. Such tech needs leaders, and LogiNext has claimed its place, time and again, at the top of the chain. 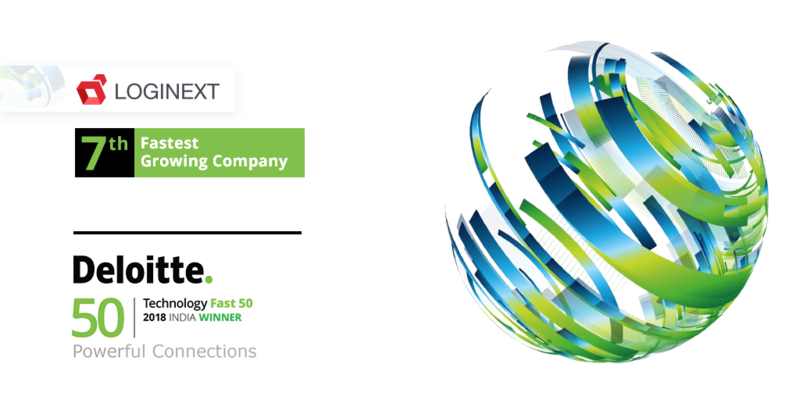 Deloitte named LogiNext the 7th fastest growing tech company in its illustrious list Deloitte Tech Fast 50. LogiNext has grown 841% in the past 3 years and is at the forefront in driving change and productivity through leading last mile delivery solutions globally. This listing by itself has been a big vindication for the efforts from the entire LogiNext team. Inc has recognized, globally, the top performers and impact companies in different industries. 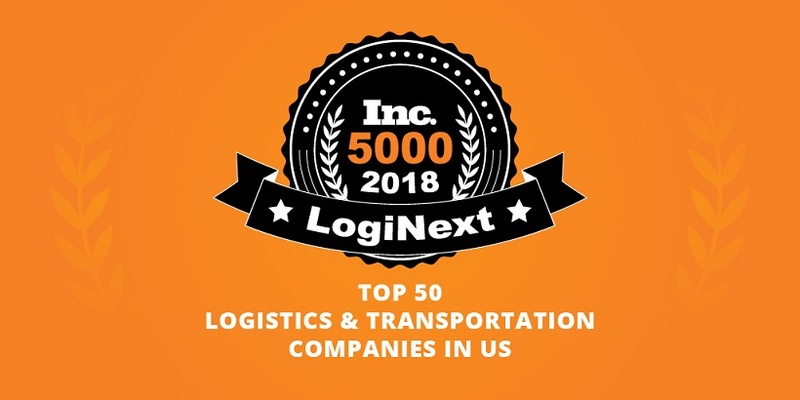 LogiNext was ranked in the top 50 logistics and transportation companies, even within the top 5000. Inc’s list has been toplined by the best in the best, and with LogiNext, their solution landscape in their list is complete as the perfect whos-who that would set the future of logistics in particular and business in general. 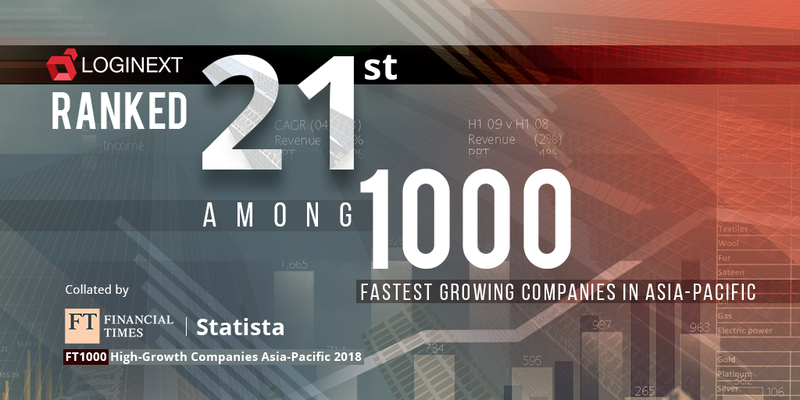 Financial Times and Statista came together to name the top 1000 fastest growing companies. LogiNext jumped on to the ambitious 21st position reinstating its dominance in the field of logistics management and last mile delivery optimization. On the back of being the top-of-the-cream delivery service software and adding the dynamic and live control enabled with machine learning backed algorithms, LogiNext set the tone for every following company in its core and related fields of business. On its march to the top, LogiNext was also placed in the elite league of top 100 most innovative and disruptive tech companies by Freightwaves. Freightwaves, in itself, is a widely celebrated thought leadership platform followed by most of the logistics and freight management professionals. In a collective voice, they all put LogiNext in their premier league of tech trailblazers shaping the present and the future of freight management, carrier capacity optimization, delivery planning and scheduling, and advanced dispatch optimization. Crunchbase lists over 5,000 startups who are relying on machine learning for their main and ancillary applications, products and services today. 81% of machine learning startups Crunchbase tracks have had two funding rounds or less with seed, angel and early-stage rounds being the most common. LogiNext has been a regular feature with many Forbes recognitions as the Forbes 30 Under 30 for Dhruvil Sanghvi, CEO, LogiNext, or the 25 Top Tech Trailblazers for Manisha Raisinghani, CTO, LogiNext. Recently one of Forbes top writers put LogiNext up among the 25 best machine learning companies globally. Core of our planning algorithms run primarily on machine learning and artificial intelligence. We have more than 2 billion location data points across the world which enable live logistics planning and pitch-perfect shipment allocation, tracking, and validation. The level of automation gained through our advanced algorithms is best showcased through our voice-controlled logistics management (something that has taken the industry by storm). Closer to home, we were placed among the top 10 up and coming companies to come out of California. We have gone global with leading in 10 countries enrolling more than 150 enterprise clients. We are a regular in almost all top lists and the journey is just begun. 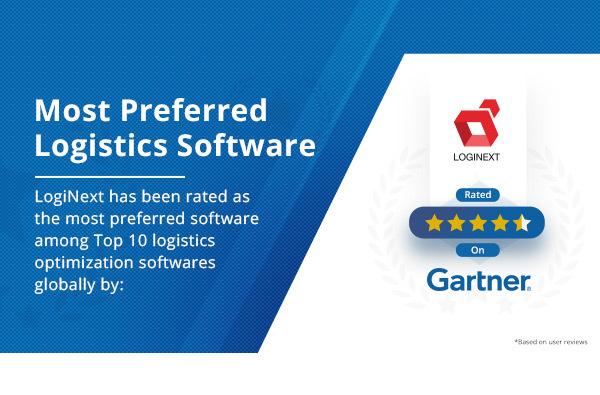 Gartner collaborated a user-driven top rating of LogiNext making it the most preferred software for logistics management, last mile delivery optimization, delivery route planning, dispatch optimization, end-to-end visibility, and more. Logistics technology is not just the future, it’s the present too. Every shipment you receive on time, there’s some cool tech running in the background. By 2022, we would be the most prominent name in that tech. So, in the next few years, whenever you marvel on fast on-time deliveries, you know who to think off.